How do I find out which books I need for my course? You can find the books needed for your courses by logging into your MyGeorgiaSouthern Account and searching for your “Course Book List” under your Registration Information section OR also under “Compare Book Prices” under your Folio courses. This will auto populate a list of all textbooks required for your enrolled courses. 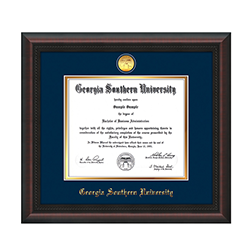 You can also search directly on our website, www.gsustore.com under “Textbooks” & “Shop for Books” by locating each course you are enrolled in. If you choose to shop in store, you will need your course schedule, which displays department, course number and section for each enrolled course. If you need a copy while in store, we have computers available to print your schedule out to aid in shopping for your books. What if I can't find my textbooks listed for my course on your website? If textbooks are not listed on our website for a course, then the professor has not requested any books to date or may not be requiring any materials for the course. Do not buy books required by a similar course since textbooks vary for each professor. Check the website again closer to the start of classes to see if your course listing may have been updated, or wait until you speak with your professor. What does required, recommended, optional and choice for course materials mean? When a professor indicates a textbook is “Required”, it means that the book is an integral part of the lesson plan for the course and not having it would make the course much more difficult. If a textbook is marked “Recommended” or “Optional”, it means the material is supplementary to the lesson plan and will enhance your overall understanding of the course material. If there is more than one option for course materials, you will see “Choose One” on the shelf tag. This simply means that an option is required, but you can choose between the options available based on your preference. Do I need an account to order books online? Yes. 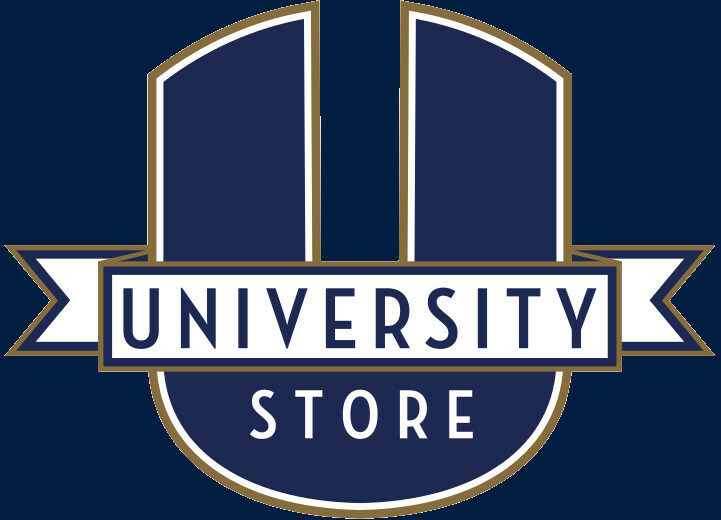 You will need to create an online account for the bookstore website that will be used by the store for processing and shipping information. Why are used copies listed on your website when they are not available in the store? Our system lists used prices online regardless of availability due to daily inventory changes. Used books are not guaranteed to be in stock. To increase your chances of getting used copies, place your order as early as possible. If a used book is not in stock, please see the Textbook Office about status and reordering possibility. Why is my total different from what my confirmation email stated? Your total charge can differ from your confirmation email because of price fluctuations in the textbook. It can also differ if you have selected "Used Preferred” as opposed to “Used Only” " and we do not have a used copy of the textbook you need. We will substitute a new copy to complete your order and vice versa. This will cause price changes and will be reflected on your invoice upon fulfillment. What does it mean if a textbook is out of stock or on backorder? If a textbook that you have ordered online is out of stock, we will process it as soon as our incoming shipments arrive in store. If we do not have any outstanding orders for a textbook, we will special order a copy for you and contact you upon arrival. If a textbook that you are looking for in store is on backorder, please see the Textbook Office to find out the status of the book. Why was my textbook cancelled from my order? Textbooks could be cancelled for payment rejection or if you have selected no substitutions for an item and we didn’t have the appropriate stock to fulfill the order. If you have selected "No Substitutions" for your order and we do not have the item requested available, then that item will be cancelled from your order. To prevent cancellations, select "Ok to Substitute". By doing this, you are agreeing to purchase a new book if a used book is not available. Please see the comment field on your order for information about your cancellation. Where can I pick up my online order? When you place your order, you can choose to have your order shipped to you or to be picked up in store. Orders are available for pick up at the web order counter in store during normal business hours. Web orders are pulled and processed Monday through Friday during normal business hours. 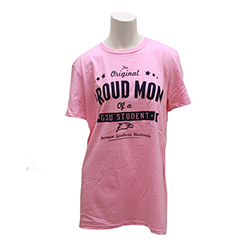 Typically orders ship 1-2 business days after they are placed except during high volume periods at the start of the semester. You will receive an email notifying you that your order has been processed for shipment or is ready for pick up in the store. I need my books today, but I just placed my order, is there a way to get them faster? Yes. Please contact the store to cancel your web order and come to the store to purchase your books in person for faster service. What are Class Notes & Lab Manuals? Class notes & lab manuals are printed and bound specifically for our university. A professor may opt for class notes if they require readings from several different textbooks or journals or have their own authored material. In the event that these items are sold out, please contact the Textbook Office for reordering. My book is listed online beginning with PKG, ACS CODE, or BDL what does this mean? PKG is an abbreviation for package and indicates that the book comes with supplemental materials that are required for the course. 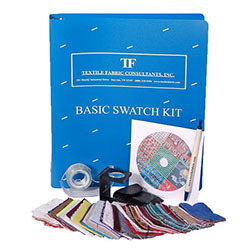 Typically, a package is only available new and the supplemental materials may be study guides, solution manuals, or access codes. ACS CODE is an abbreviation for Access Code and is only available new. Most access codes come with an eBook & supplemental material, but it determined by class use. BDL is an abbreviation for Bundle, which is usually a set of books or supplemental materials, but do not contain a digital product. Bundles can be used or new. Where do I find iClickers, safety goggles, lab coats, etc. or other course related materials needed for my course? All non-text required items can be found in the supplies department of the store. How do I read a shelf tag? What is the process for renting a textbook? We offer a rental program with in store and online options for saving money on your required textbooks. Books can be rented with financial aid as an option. You can get your book from the shelves and check out at any register. There you will be given a rental receipt with your applicable terms and conditions and due date. You will need a valid credit card to secure rental for the term as well. What is the price difference in renting or buying? An in-store rental will save you up to 50% of the purchase price of the book. When you rent your books, you pay a lower up-front cost, but your books cannot be sold back at the end of the semester. Is every book available for rent? No. Some books including workbooks, custom-published books, imported books, etc. are not available for rent. How can I find out if you have a rental available for my class? To check availability and pricing for rentals, you will need to visit the store or call to confirm pricing. How long can I keep my rental? Rentals are due back 125 days from the date of the rental or at the end of the semester during finals week. What is the return policy for rental books? You have until the end of the first week of class to return your rental for a refund. To obtain a refund, you must return book to customer service with rental receipt for a full refund. What kind of condition can I expect my rental books to be in? Rental books are in quality depending on new or used condition that is applicable for inventory, but our used inventory is of good or better condition to ensure quality. Can I write or highlight in my rental book? Yes, minimal amounts of writing and highlighting are permitted. How do I return my rentals at the end of the term? Rental books are due to be returned during finals week. We will have designated rental return counters set up in our store for convenient return. Can I extend a rental? You may extend or buyout a rental in store by paying the difference between your rental price (new or used) and the purchasing price of a book of the same condition (new or used). Can I return a book early for credit or refund? No, we do not offer credits or refunds if the books are returned earlier than the due date. Are there any late fees if I return the rentals late? If your books are not returned by the due date, the credit card on file will be charged the buyout amount for the rental. What are the advantages of eTextbooks? 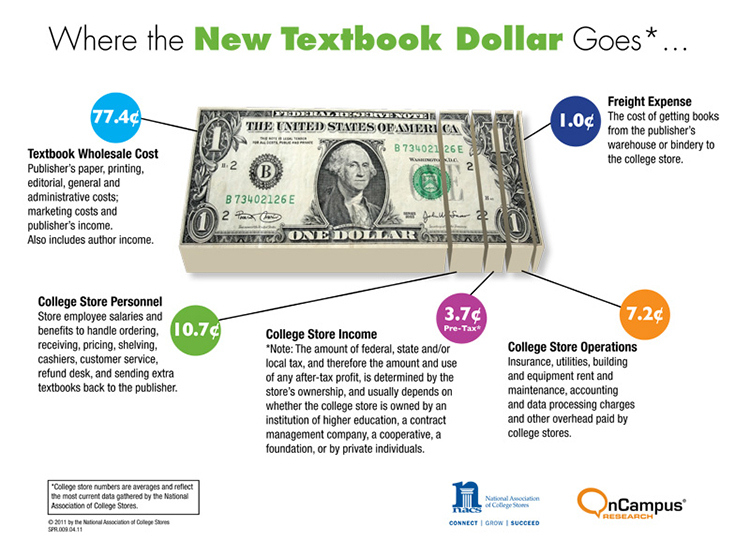 eTextbooks are often priced lower than their physical counterparts saving you up to 60%. They also offer enhanced web functionality such as search, instant access, and note-taking. It also means fewer heavy textbooks in your backpack. What are the disadvantages of eTextbooks? eTextbooks are only available for a limited subscription period. Printing capabilities may be limited. Refunds are limited. In order to access your eTextbook in class or elsewhere, you will need to have internet access or a reading device. Can I order my eTextbook through www.gsustore.com? How do I redeem my code to access my eTextbook? You will be given a redemption code on your store receipt. Keep the redemption code safe. It can't be replaced if lost. Then go to www.bookshelf.vitalsource.com and enter your redemption code in the "Enter Redemption Code" box. Follow the instructions to create an account or if you have an account already, login to proceed. Next, confirm your redemption code purchase to complete the redemption code process. You will then be taken to My Bookshelf where you can read your new eTextbook. Can I get a refund for an eTextbook? eTextbooks are eligible for a full refund within one week from the beginning of classes if: no more than 20% of the eTextbook content has been viewed and/or printed; the access code for any online resources, included with the eTextbook, has not been viewed; and if you have not "checked out" any part of your eTextbook to view offline. What are the system requirements to access an eTextbook? Can I access an eTextbook with my mobile device? Yes. There is a separate app designed for iPhones, iPads, and Android devices available for free at App Store. Can I access an eTextbook with my eReader? eTextbooks will work on Kindle Fire, iPads, or Android tablets with OS 3.0 or higher. eTextbooks are not compatible with the original Kindle. Do I need internet access to read an eTextbook? You will need internet access to "check out" or "check-in" chapters of your eTextbook. Once you have checked out your eTextbook chapters, you can read them offline without an internet connection. Can I print pages from an eTextbook? You can print up to 10 pages at a time from an eTextbook. There is also an overall limit to the number of pages you can print equal to 150% of the total number of pages in the book. For example, if the book has 200 pages, you can print up to 300 pages from the eTextbook. A dialog box will appear when you have reached the limit. How many chapters can I check out at one time? You can check out three chapters/sections at a time to view offline. How long do eTextbooks last? Do they expire? Expirations vary, but most eTextbooks subscriptions last for 180 days. After the subscription period, you will no longer be able to access the content. How many computers can I use to access my eTextbook? Online versions of eTextbooks can be accessed from any computer with an internet connection. Chapters that have been checked out for offline viewing can only be accessed from the computer on which the chapters were downloaded. Can I sell an eBook back at the end of the term? No. eTextbooks are all about upfront savings. Instead of wondering how much your book will be worth at end-of-term buyback, you get your money up front in the form of savings on your initial purchase. I need further assistance with my eTextbook. How can I get help? For questions related to your eTextbook usage, please see the Vitalsource service website at www.support.vitalsource.com or call 866-588-3197. For questions related to your eTextbook purchase, contact The University Store for further assistance. Do I really save by participating in buyback? By purchasing used books and participating in buyback, you can save up to 75% of the new book price. For example, if you bought a used copy of a $100 book for $75 and then sold it back at the 50% price of $50, you would pay only $25 for the use of the book which is 25% of the new book price. What do I need to bring with me to sell my books? Bring your books and your Eagle ID card in store or to our off site campus locations to participate in buyback. What determines how much is paid for a book? The buyback price is determined by various factors. Textbooks fall into one of three categories. During the course of a semester or buyback period, a title may move from one category to another based on demand.